On Friday 13th May Year 7 were involved in a Languages Taster Day at Fulham Cross. In the morning students were able to take part in lessons about a range of languages that showcased the linguistic talents of the Fulham Cross staff. 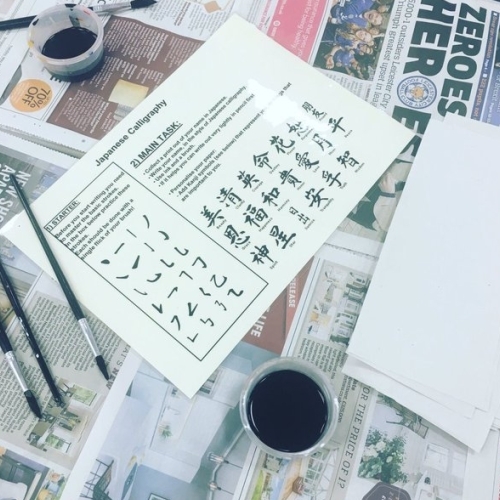 There was a lesson in Polish culture from Joanna, French slang from Ms Legaud, the art of speaking without words from Ms Moretuzzo, spelling your name using the Greek alphabet with Ms Baitsi and creating Japanese calligraphy with Ms Brown. Students thoroughly enjoyed these sessions and were able to learn a lot. After break we left to go to ‘Ciné Lumière’ at the Institut Français in South Kensington. For most students this was their first experience of seeing a French film and they were particularly impressed by how impressive the cinema was! To end the day, we all enjoyed the sunshine and ate lunch outside the Natural History Museum.